Having spent many happy hours between 2006 and 2009 visiting and photographing Staten Island, I was devastated to read about and see the photographs of the unbelievable damage that the island sustained during Hurricane Sandy earlier this week. At times like this photography is therapeutic for me, and so I went through my files and revisited all my photos of Staten Island. Even at the best of times this can be an interesting and productive thing to do, since it may well unearth photos you’ve forgotten about and never post-processed or, in this case, it helped me to rediscover photos I did post-process, but with the skills (and software) I’ve acquired in the intervening years I could improve my work on them. I selected eight photos taken at different times over those three years, and at some point I may well go back and select more, not to mention process a few from the boat tour our Camera Club did back in the spring. Here I’m going to show you three of the eight photos and explain briefly what I’ve done in my latest post-processing round. To view all eight photos, please visit the special Staten Island Gallery I’ve created on my Zenfolio website. I’m designating all eight photos my Prints of the Month for November, which means that until the end of this month there are special sale prices on these photos. All the proceeds from sales of these photos will go to hurricane relief for the suffering victims of Hurricane Sandy on Staten Island, so please, if you’re thinking of doing some early Christmas/holiday shopping or even want to buy something for yourself, consider ordering one of my Staten Island photos. 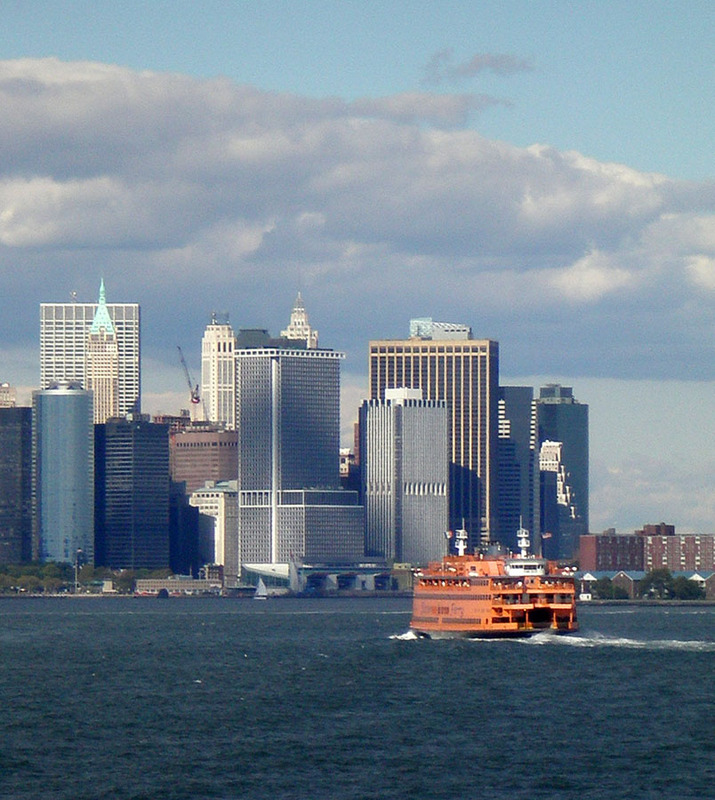 The bright orange ferries stand out so well against the prevailing blues and grays of the water, sky, and buildings. It was a somewhat hazy day, and I just needed to intensify the colors a bit, which I did using a Levels adjustment layer. I also cropped out a bit of the sky at the top to ensure that the ferry and buildings didn’t get lost in the overall picture. This was the first time any of these photos had had my black-and-white treatment; I wasn’t into it in those days. 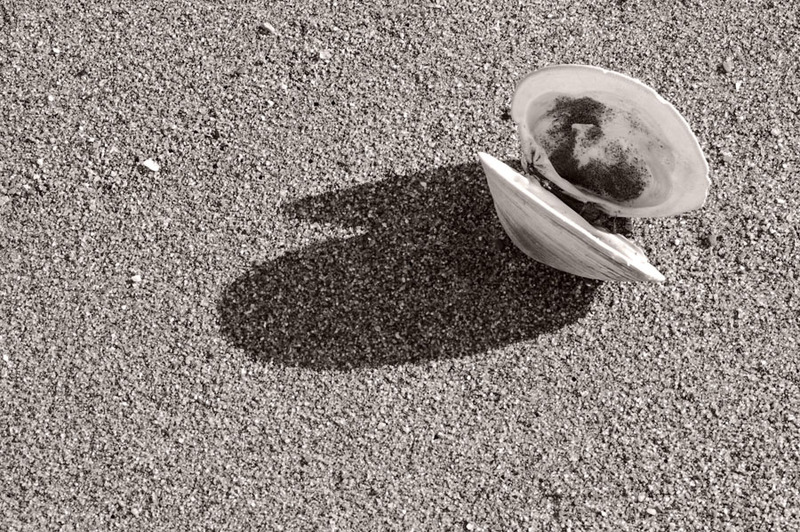 This lone clamshell on the sand just needed a B&W adjustment layer in Photoshop, and I chose the blue filter, which made the photo a bit darker, thereby highlighting the texture of the sand. The slight tint gives it a softer and yet somewhat more “natural” look. 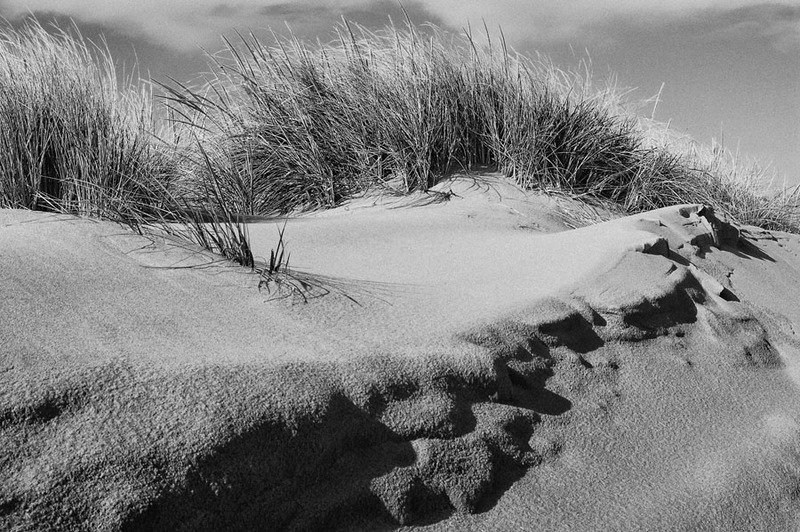 The sand dunes at the Gateway National Recreation Area seemed a perfect candidate for black and white. Here I used Nik Silver Efex Pro 2 and went with the first Push Process preset. What, no photos of the iconic Verrazano Bridge? Yes, there are two of them, along with a couple of nature photos that you’ll be surprised were taken within New York City’s borders, in the Staten Island Gallery on my website. And one of my earliest successful examples of what has since become a significant, recurring theme for me–a historic building that played a role in the American Revolution. I look forward to your visit!